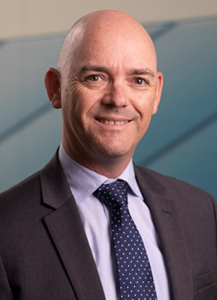 Darren Miller commenced as ARENA’s CEO on 27 August 2018. He has more than 25 years’ experience across a range of sectors including renewable energy, electricity retail, technology, finance, media and entertainment. Darren was co-founder and CEO of Mojo Power, an innovative electricity retailer, from 2015 until July 2018. He was previously the Director of Asset Finance at Sungevity Australia in 2014, and co-founder and CEO of Sumwise, a technology and services company from 2007 to 2013. Darren’s previous experience includes a position as investment manager for Publishing and Broadcasting Limited (PBL) and Consolidated Press Holdings (CPH) and roles at New Zealand Natural and Ernst & Young. Darren is a Chartered Accountant with a Bachelor of Commerce (Hons) from the University of New South Wales. Ian Kay is ARENA’s Chief Financial Officer and leads ARENA’s business development and transactions teams. Ian’s focus is on optimising the use of ARENA’s grant money to help proponents secure the sponsor equity, third party equity and project finance debt needed to bring projects to financial close. Ian possesses 15 years’ experience leading investment in infrastructure, development and commercialisation of renewable energy projects at Origin Energy and Macquarie Group. He has particular skill in managing joint venture partnerships and a track record of designing innovative transaction structures. Ian brings a depth of experience to ARENA and has originated, developed and led projects totalling more than $12 billion in enterprise value and $3.7 billion total required equity commitment. He has experience of a broad range of renewable energy projects. Ian holds a Master of Arts (Honours) in Economic Science from Aberdeen University and is a member of the Institute of Chartered Accountants (England and Wales). Nicola Morris commenced as Chief Operating Officer for ARENA in July 2016. She provides oversight of the Strategy, Human Resources, Corporate Affairs, Legal and Project Delivery teams and leads ARENA’s digital transformation agenda. Ms Morris also worked at ARENA as General Manager and General Counsel until early 2014 and was responsible for the Big Solar team. She was also the head of the ARENA Establishment Team in the lead up to the commencement of ARENA in July 2012. Ms Morris was previously Acting Head of Division of Innovation Programs Division – AusIndustry in the Department of Industry, Innovation and Science. She was also General Manager of the Business Management element of the Entrepreneurs’ Program. Previously Chief Lawyer for the Department of Resources, Energy and Tourism, and a lawyer in private practice, Ms Morris has transitioned to program management, with a particular interest in innovation programs, and the intersection between public sector programs and private sector expertise and delivery models. Brad joined ARENA in 2017 and is a seasoned corporate affairs practitioner having worked across a broad range of industry sectors including oil and gas, government, infrastructure, trade and agriculture. Brad’s team is responsible for communication and stakeholder engagement activities including sharing information and knowledge about ARENA-funded projects and the benefits they deliver. 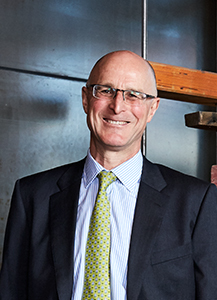 Prior to his current role, Brad led government relations at South32, a listed metals and mining company with operations in Australia, Africa and South America. Brad holds a degree in business from the University of New England. Tom Campey is the General Manager of Strategy. In this role he helps ARENA decide where to focus its financial assistance and related efforts to best achieve ARENA’s objectives. Prior to ARENA, Tom worked at the CSIRO, where he led a project to develop a roadmap for low emissions technologies in Australia. Before CSIRO, Tom spent five years at McKinsey & Company, focused mainly on strategy, serving clients in a wide range of industries including energy, mining, banking and retail. Tom holds a Bachelor of Engineering (Mechanical and Space), a Bachelor of Science (Physics) and a PhD (Physics) from The University of Queensland. Kirsty is a highly experienced commercial lawyer and corporate governance professional who joined ARENA in 2016 to take up the role of General Manager, Project Delivery. Prior to commencing work with ARENA, Kirsty was General Counsel for Indigenous Business Australia. In that role she provided advice on commercial matters and administrative law matters, including co‑investment and incentive structures, company law, contracts and finance arrangements. She also played a key role in supporting the governance functions of the Board and overseeing IBA’s governance, compliance and legal risk management framework. A committed development specialist, Kirsty’s previous experience includes working with the Northern Land Council, NSW Native Title Service, North Australian Aboriginal Legal Service and NSW Legal Aid Commission. She has also worked as an investigator with the NSW Ombudsman and a mediator of complaints for the Human Rights and Equal Opportunity Commission. In addition to her legal qualifications, Kirsty has postgraduate qualifications in Aboriginal and Torres Strait Islander Studies. She is a member of the Australian Institute of Company Directors and the Law Society of the ACT. She recently completed her Masters in Public and International Law at the University of Melbourne. Cameron joined ARENA in 2018 as General Counsel, heading up the Legal, Governance and Secretariat team. Cameron’s team provides legal and governance services to all areas of ARENA, including the ARENA Board and committees. Provision of secretariat support to the ARENA Board and committees is also part of Cameron’s responsibility. In addition, Cameron oversees and manages the engagement of all external legal service providers. A renewable energy specialist, Cameron has particular expertise (both in Australia and overseas) in advising sponsors in project financed large-scale renewable projects. In addition, Cameron has extensive experience working in international carbon markets and has a deep understanding of the energy sector gained both through his professional work and through his PhD studies on comparative renewable energy laws in selected EU and Australian jurisdictions. Prior to his current role, Cameron was in-house counsel with a private equity developer in Dubai, United Arab Emirates, where he advised on several hundred megawatts of project financed solar PV and onshore wind transactions in Jordan, Egypt and Turkey. 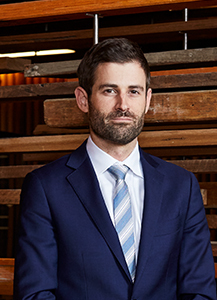 Cameron has previously worked at top-tier law firms in Australia, and has practiced in the fields of environment and planning, projects, construction and energy and resources law. Cameron is a highly experienced practitioner, with over 15 years experience as a lawyer. Cameron holds a Bachelor of Science (University of New South Wales), Bachelor of Law (University of Technology, Sydney) and a PhD in Law from the University of East Finland.